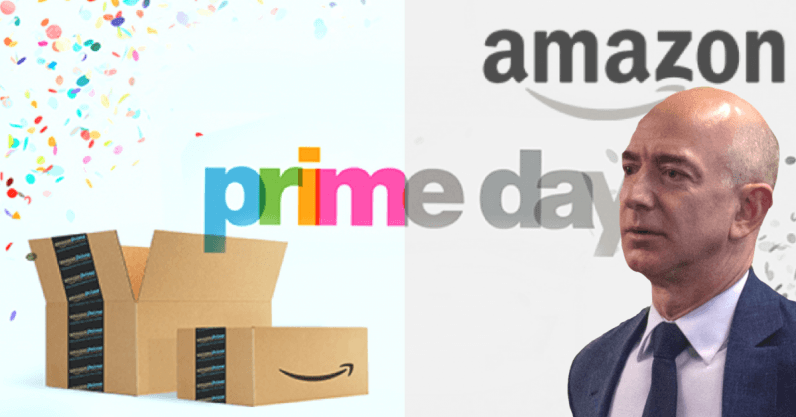 Amazon introduced Prime Day in 2015 as a way to celebrate its 20th anniversary as a one-day sale with the aim of overshadowing Black Friday. The sale was available only to Prime members and over the years has become a premier shopping day that grabs media attention and drives competitive brands to launch side-by-side sales. This year, Prime Day had several added elements to drive buzz like a concert and extended hours. The ultimate aim of Prime day is to boost sales, recruit Prime members and promote products. But, is Prime Day sending the right brand message for Amazon? My argument is no for the following reasons. Amazon drives customer expectations to new heights with two-day delivery promises and now yearly sales bonanzas. These expectations impact retail businesses across the board and are arguably even beyond Amazon’s own reach at this stage. With record traffic flooding the Amazon site during the beginning of the Prime Day sales, Amazon experienced a crash that lasted nearly two hours. The impact of this outage left customers looking to shop leaving Amazon to head to competitors’ sites. Target, for example, shared that Prime Day was the highest single traffic and sales day for their website for the year so far. Additionally, the retail behemoth’s warehouses are struggling to keep pace with demand. This is impacting bottom line costs and worker satisfaction. This year, a three-day strike took place in Spain, Germany, and Poland coinciding with Prime Day. Workers went on strike to demonstrate against working environment, low compensation and conditions placed on time off. Prime Day is built around discounts similar to those that drive shoppers to flood local malls on Black Friday. The problem these deals present is that they attract subscribers to the Prime program, Amazon’s ultimate aim, who are seeking deals. This may be a good take-off point in bolstering initial numbers but the churn rate, I imagine, is quite high. The yearly membership rate of $119 with the first 30-days free and the ability to cancel at anytime likely invites deal seekers in to take advantage of the sales who then drop off after the fact. The everything store or the Amazon products store? Part of Amazon’s mission is to work with brands and retailers to onboard them to selling their products via Amazon. This includes products and brands that fit into the luxury sector and are not a fit for a deal-hungry crowd. This factor, which cheapens products, may simultaneously cheapen the brand promise. On top of this, Amazon’s own products are always the most deeply discounted and popular. This year, the FireTV Stick with Alexa Voice Remote and the Echo Dot were the top sellers. Amazon is a marketplace and the at the core, this should mean bolstering the brands and companies within, not just their own products. So what should Amazon Prime Day focus on? To avoid the pitfall of one-size-fits-all marketing, Amazon needs to think more critically about the Prime Day approach. Something we often see with one-day shopping holidays, like Black Friday, is mediocre products, massive discounts, and a false sense of urgency or call to action. These factors of course drive sales but not customer engagement or loyalty overall. Even the fact that Black Friday, for example, used to fall on the Friday after Thanksgiving as a way to kick-off the holiday shopping season has now extended to midnight Thursday, then some retailers began preempting this with Wednesday and so on shows a necessity to revisit timing. This year, Amazon used this same tactic with Prime Day, allowing for 36-hours of shopping further cheapening the experience and effectively reminding customers of the marketing charade of the whole event. I think this loses authenticity and feels like a cheap ploy in the end. Instead of broad sweeping sales, what if Amazon offered targeted promotions or deals based on individual shopping habits? A promotion such as “Prime is Personal” would embrace retail trends shifting towards a more personalized online shopping experience and could leverage Amazon shopping data to better the customer experience. This would likely still include popular Amazon products, but would also drive sales of marketplace brands that customers love and continue to look for on the Amazon platform. At my company, my team and I test everything we do from a marketing perspective to provide data on overall performance. But what becomes important in addition to the success metrics is the context and weight we give to those metrics — and Amazon should be doing the same thing. For one of our clients, we were A/B testing email creative and social advertisements and to no one’s surprise the one with the highest deal or discount won. If we took this at face value, we’d be driving only discounts through to customers and effectively training them to only take action when they see a deal come through. Ultimately, this reduces the perceived value of a brand, which impacts the brand’s growth and customer loyalty over time. Ultimately, Amazon Prime Day can not be classified as a failure based on the strength of sales alone, but I argue that the long term view necessitates an upgrade to align more closely with the brand and drive continued success in the future.